Twilight and rainbow Pony decided to be babies at the time with the help of magic. So they decided to have fun and to remember how to be kids. Behind them will be to care for, feed, dress, entertain and play. 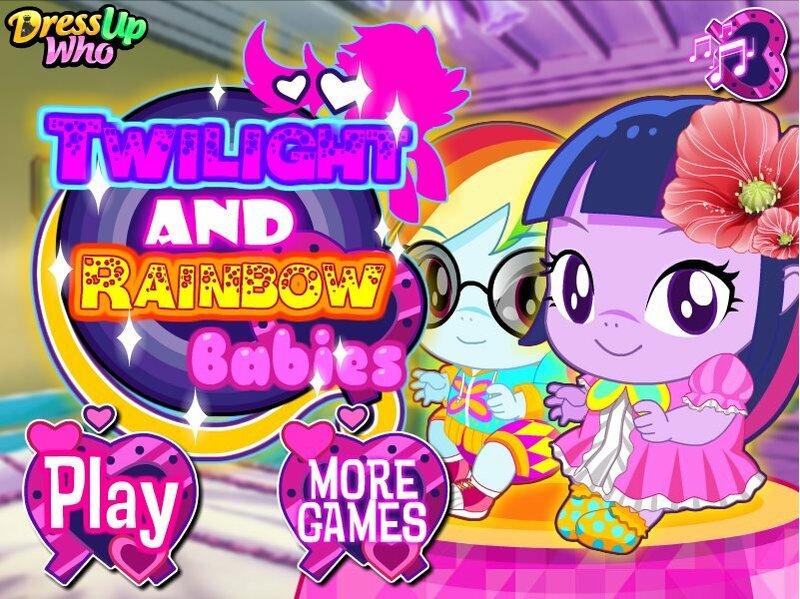 How to play: in this game the famous pony rainbow dash and twilight Sparkle will be the kids, and you will be able to take care of them. Look what they were whimsical and cute when they were little. Use the mouse to give them toys or changing a diaper. In the second part of the game you will be able to choose new clothes for your taste. Feel free to create new and interesting outfits for little pony. Played: 20448. Added: 17-09-2015, 09:44. 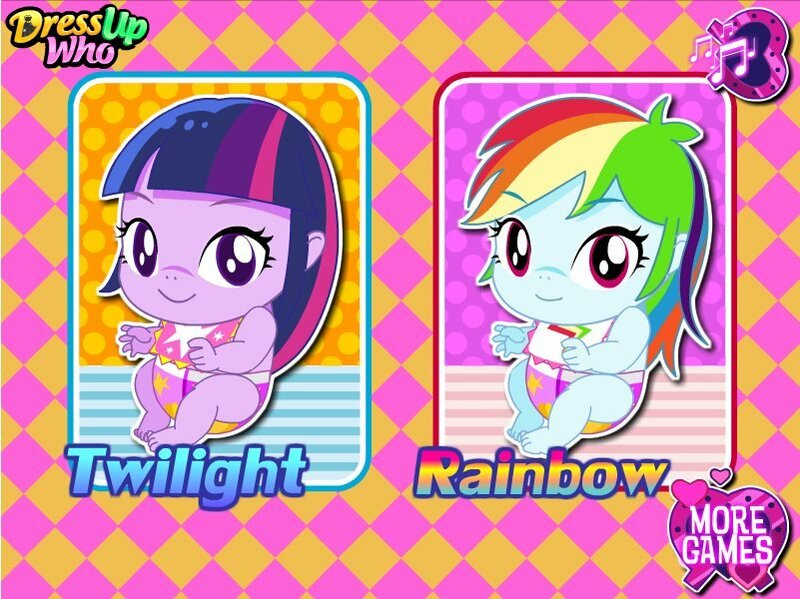 Twilight And Rainbow Pony Babies game.